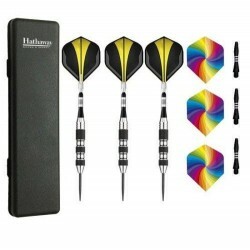 The Rampage Sure Grip Soft Tip high-tech, extremely accurate dart is a welcome addition to any dart player’s collection. 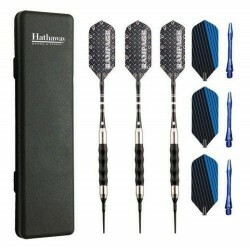 The Widow Maker Steel Tip dart set is an exceptional looking set at a very affordable price! Black coated brass barrels and aluminum shafts create a very sleek, stylish look. 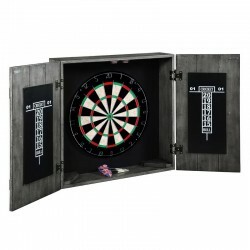 Catch everyone's eye with the Tempest dart. 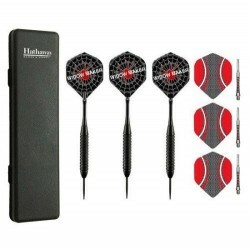 It features aluminum Spinster shafts that rotate to help incoming darts find their target and allows for tighter groupings and decreased deflection. 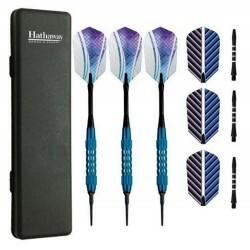 The Galaxy Soft Tip Darts were designed and built with the competitive player in mind. Crafted from a blend of high quality components. 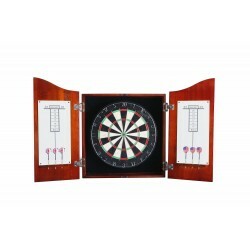 Enjoy a quality game of darts with the Carmelli Winners Choice sisal dart board. 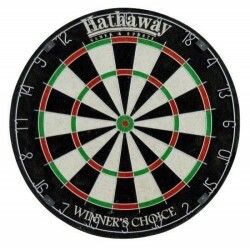 Made of superior grade, self-healing sisal fibers, this tournament style board features a moveable metal number ring so you can easily rotate your board and extend playing life. The Carmelli Magnum is a lightweight version of dart fun, weighing in at less than 7-lbs. 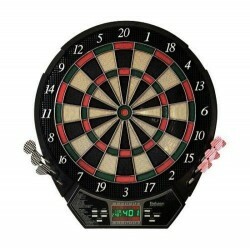 This product is easy to carry from place to place and can be powered by either electricity or batteries. 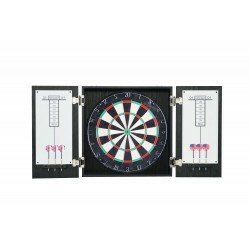 The complete dart experience – all in one set! 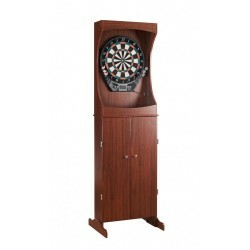 Funriture Quality Finishes Make This Dart Cabinet A Great Addition To Any Room!